The classic shoe from the 1970s is being re-issued in a simple, yet premium look. 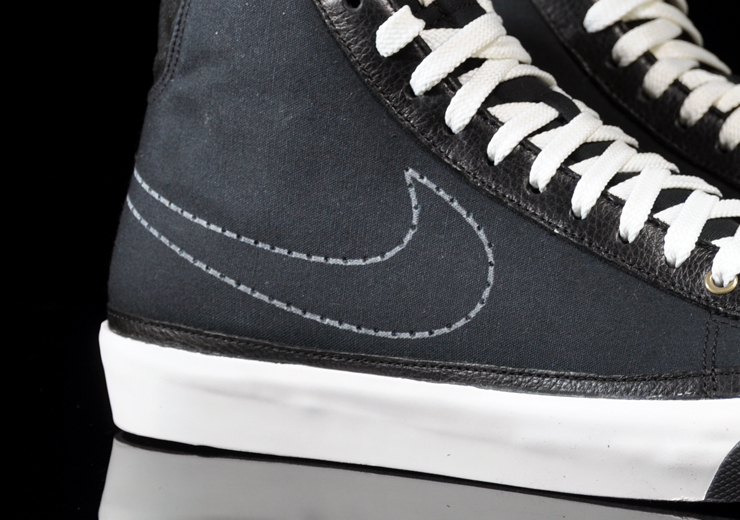 A staple in Nike footwear since the early 1970s, the Blazer Mid is being re-issued this month in a brand new premium look. Sporting a black canvas upper, this shoe makes use of soft leather detailing along the eyestay and base of the shoe. Tonal suede is used for Nike branding on the heel. Perforated Swoosh logos on the side panels are outlined in white paint, while vintage looking sail is used for the laces and vulcanized sole. Capping off the look is a black rubber toecap and outsole. 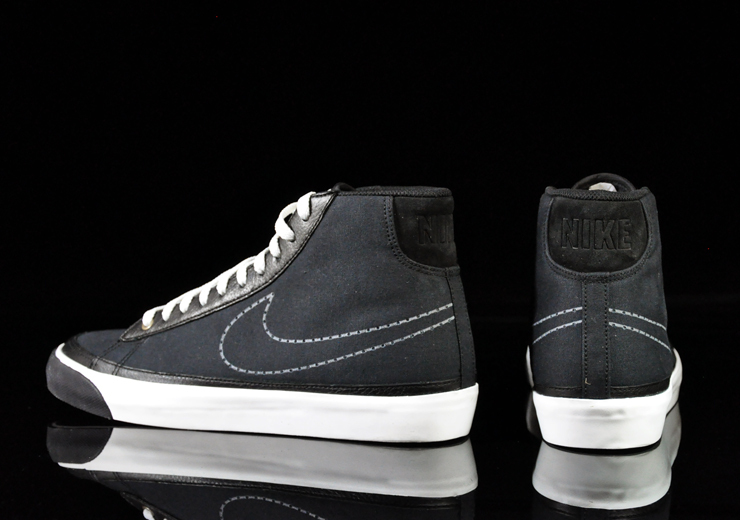 This premium Blazer Mid has started to surface at Nike retailers, like Schuh-You, this month.